Nineteen people and organizations were honored by the County today for their achievements in improving the health and well-being of local residents. The County of San Diego Health and Human Services Agency presented the honors during its annual Live Well San Diego Public Health Champion Awards Ceremony. This is the County’s signature event held in recognition of the American Public Health Association’s National Public Health Week, from April 2-8, 2018. Established in 2002, the awards recognize public and private collaboration of people and organizations that have made contributions to improve the health and overall quality of life of local residents. The recipients embody the County’s Live Well San Diego vision to promote healthy, safe and thriving communities. Jacobs has been an advocate for public health services and a leader in changing the future for Lesbian, Gay, Bisexual, Transgender (LGBT) individuals for more than 20 years. The Center, which is the epicenter of response to the HIV epidemic, has remained one of the leading providers of HIV care and prevention services. Last year, the Center received over 72,000 service visits for all its programs and activities. 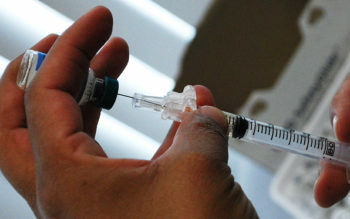 Jacobs has also motivated her community to take advantage of vaccinations, be aware of public health threats and protect each other from communicable diseases. Jacobs’ work in expanding mental health services through the Center for people with and at-risk of HIV has been instrumental for improving the overall health of the LGBT community and the San Diego community as a whole. Dr. Aldous has more than 10 years of experience in public health and gives a valuable community provider perspective as a leader in improving tuberculosis care and prevention in San Diego County as clinical director of infectious disease at San Ysidro Health. Dr. Aldous has an impressive resume that includes local, state and international public health experience, especially in infectious disease treatment and prevention. A Live Well San Diego partner, the San Diego County Breastfeeding Coalition is a not-for-profit corporation that for the past 24 years has demonstrated its ability to sustain its support of infants, mothers and families of San Diego County. 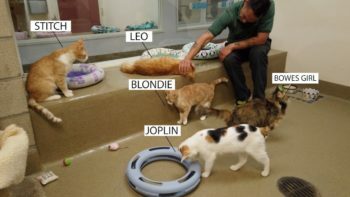 It does this through its largely volunteer staff and a small number of employees, and its collaboration with other health and welfare organizations. Infants and preterm, or ill infants, who are breastfed experience better nutrition and less risk for many illnesses, including obesity. 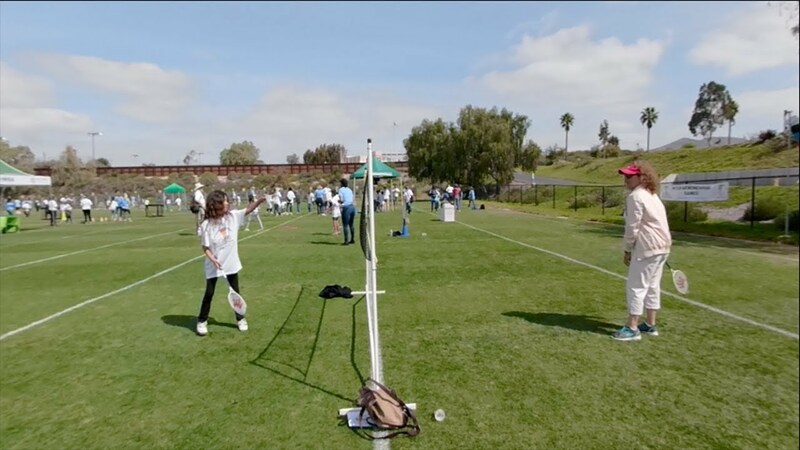 UCSD Shiley EyeMobile for Children has provided more than 200,000 vision screenings and 10,000 glasses to children in San Diego County over the past 17 years. The program addresses the need of providing eye care to underserved preschool children, ages 3-5, to assist them in succeeding in school and in life by identifying, treating, and preventing vision disorders. AGING AND INDEPENDENCE SERVICES—Susan Levy, Ph.D.
Levy has more than 20 years of experience in public health research and as an educator at San Diego State University’s School of Exercise and Nutritional Sciences. She has partnered with the Graduate School of Public Health to conduct research on physical activity in older adults with arthritis, having a primary focus on evaluation in community-based settings. The Urban Collaborative Project has been employing resident engagement strategies to make safety, civic engagement, health, and beautification neighborhood priorities since 2013. 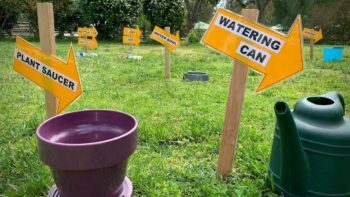 Their goal is to make southeastern San Diego communities more vibrant, informed and connected. McAlister Institute began serving the public in 1977 and is one of the largest alcohol and other drug treatment providers in San Diego County. Jeanne McAlister, the Founder and Chief Executive Officer, created an agency that was established on empathy and hope. Last year, McAlister Institute served nearly 9,000 people in San Diego County. San Diego County Credit Union, originally established in 1938 as San Diego County Employees Credit Union, expanded its membership in the 1970s to include all San Diegans and is now open to everyone living or working in San Diego, Riverside or Orange County. San Diego County Credit Union is a Live Well San Diego partner that is guided by the principle that financial health is linked to physical health. It is also working to improve financial health of adults throughout the county as the organization offers free financial webinars and counseling and identity theft protection education classes. 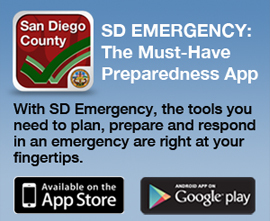 Paulson has worked for the San Diego County Office of Education for over 18 years. Through her role as a Migrant Health and Support Services Specialist, she has first-hand experience understanding how challenging it is for the underserved population to access care. Being spurred to action, she has been a constant advocate for vulnerable populations, especially migrant communities. She has designed and implemented various health care programs throughout the county, often forming collaborations and partnerships to increase the care available to these communities. Writer is a clinical expert in crisis intervention. She has 15 years of clinical experience as a therapist and psychological assistant and more than 10 years working to develop resources in the community. Writer is a contracted therapist with Home-Based Effective Living Professionals, a psychological assistant and community outreach liaison for Aurora Behavioral Health Care. She also serves as Aurora’s acting director of the office of business development and works with families to help them navigate complex mental health and substance abuse treatment systems. The Boys & Girls Clubs of South County has been serving South County communities for more than 56 years. The organization provides a safe environment and assists youth in developing qualities needed to become responsible citizens and leaders. Youth get relevant, everyday care and diversified individual and group services, with special interest in meeting the needs of low-income members. 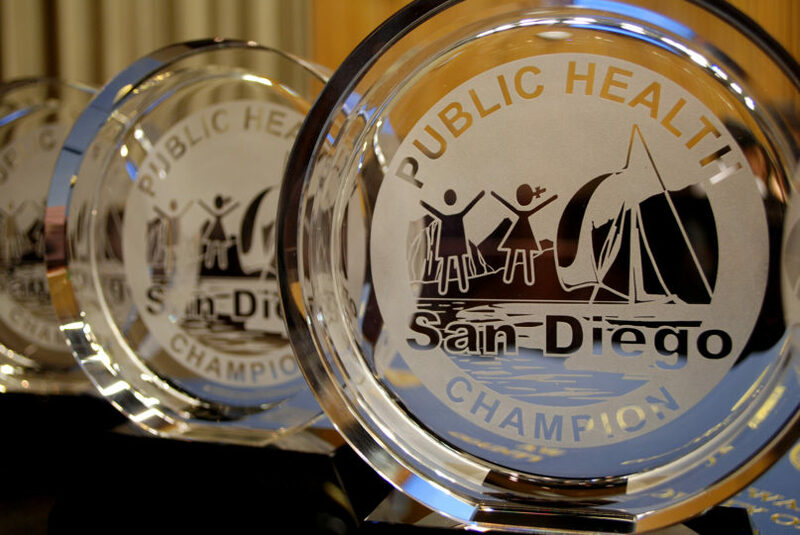 Since 2012, the Health and Human Services Agency Director Nick Macchione has selected awardees for the Live Well San Diego Public Health Champion Awards Ceremony. The recipients are honored for their outstanding contributions to public health and their collaborative efforts to the Live Well San Diego vision. The Alliance Healthcare Foundation advances health and wellness for the most vulnerable people in San Diego and Imperial Counties. Since the organization was formed in 1989, Alliance Healthcare Foundation has grown to play a critical role in the community by supporting programs that improve access to care for the region’s low-income, uninsured and underinsured, children, and the homeless. Founded and directed by physicians, Champions for Health provides medical professionals convenient ways to volunteer to improve health in the San Diego County community. Since 2004, under the leadership of the San Diego County Medical Society, Champions for Health aims to do three things: improve community health and wellness, increase access to care for all, and support physicians through engaged volunteerism. Shiley is a philanthropist and a leader in the San Diego community, championing opportunities for improved health, safety and wellness through numerous medical, scientific and educational arts causes. She is the president of the Shiley Foundation and a renowned patron of the arts. Her work has advanced the Alzheimer’s Project, which was established in 2014 to seek a cure and help the tens of thousands of local families dealing with the disease. Dr. Benjamin has been the executive director of the American Public Health Association since 2002. He is known as one of the nation’s most influential physician leaders because he speaks passionately and eloquently about health issues having the most impact in the nation. Dr. Benjamin serves as publisher of the nonprofit’s monthly publications: The Nation’s Health, the association’s official newspaper, and the American Journal of Public Health, the profession’s premier scientific publication. He is also the author of more than 100 scientific articles and book chapters. 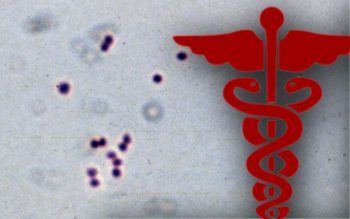 The Graduate School of Public Health at San Diego State University is a local academic leader in public health education, research, and evidence-based practices. Established in 1980, its mission is to improve population health and well-being by building a diverse public health workforce to meet the needs of current and future communities. Through high-quality education, research opportunities, and support for service activities, graduates emerge equipped with the knowledge and skills necessary to address complex public health problems and to assume leadership positions in a wide variety of settings. Dr. Hertzka has demonstrated outstanding community service and dedication to the County of San Diego. As a UC San Diego professor, he has been teaching the 40-hour “Introduction to the Politics of Medicine” class every fall quarter since 1988. He is the former president of San Diego County Medical Society and past and youngest president of the California Medical Association. Salud+Health Info is the first and the only bilingual, Spanish-English health magazine in the greater San Diego region. The online magazine provides information in three key areas: health, family, and community. Salud+Health Info has been an important leader in helping people to understand their health, empowering individuals and families to take control and seek proper treatment, when necessary. In its 58th year of publication, Voice & Viewpoint is a national award-winning publication. It is San Diego’s oldest and largest African-American media publication, and for the last 30 years the Warren family has owned and operated the publication. Voice & Viewpoint tells local and national stories from an African-American perspective. From small church gatherings to major political campaigns, its news features have highlighted people and events, while commentators have argued from different points of view in the lively op-ed pages. 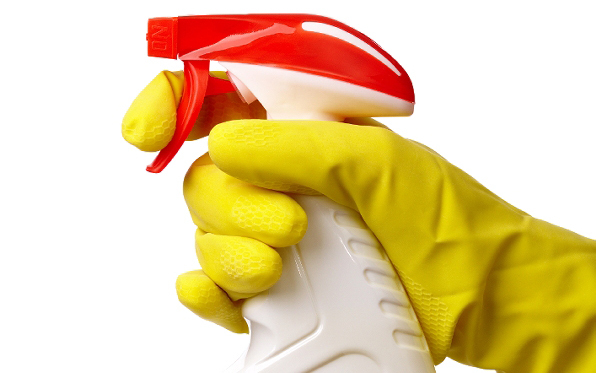 Previous Story Previous Story: 5 Tips for a Great, and Safe, Spring Cleaning!